I'm so excited! I finally have the cover for my March 17th release, Blind Ambition. What do you think? Want to be the first to know when the book comes out, and be in the running for a free copy? Sign up for my romance newsletter. Read on for an excerpt from Chapter One. The last time the island’s rebel fighters had raided the Hygiea clinic in Terre Verte, they’d stolen everything—right down to the mattresses on the beds—and left one of the nurses dead. The mother of nine-year-old Flore, who should be safe at the orphanage next door by now. Shouts came from the storage room that doubled as her sleeping quarters. She turned her head to see Garfield in the doorway, a rifle trained on him from behind. His lip was split and bleeding and his dark eyes blazed with anger when he spotted her. I like it! Tells me exactly what I need to know. 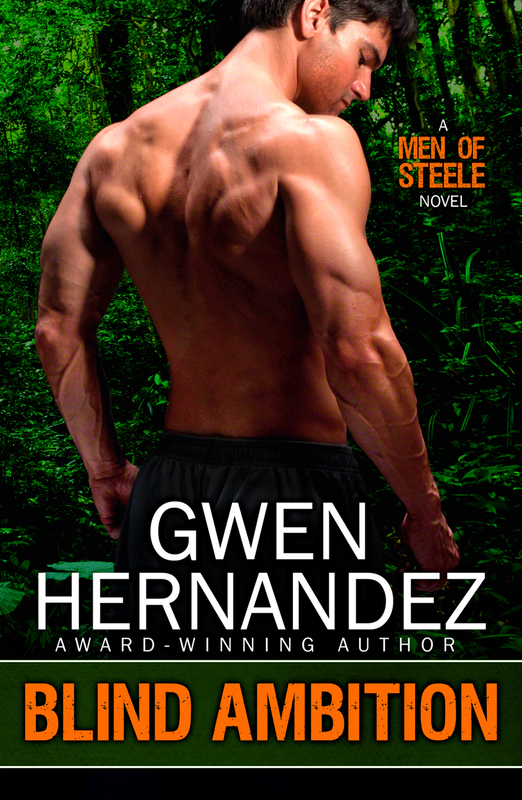 Hot, muscle-y guy in the jungle and action. Like Curtis, I want to be 26 again. In my case that was a long time ago. A very long time ago! Let me come back to today. Congratulations on your book! I’ll buy it! Congrats! Great cover, great excerpt.